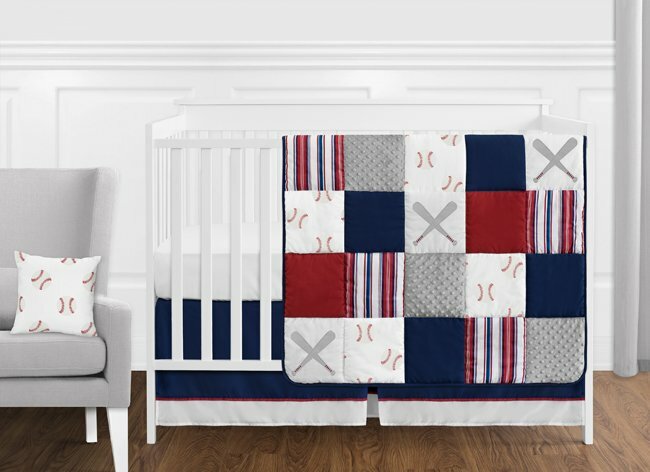 Baseball Patch 11 pc Crib Bedding set has all that your little bundle of joy will need. Let the little one in your home settle down to sleep in this incredible nursery set. 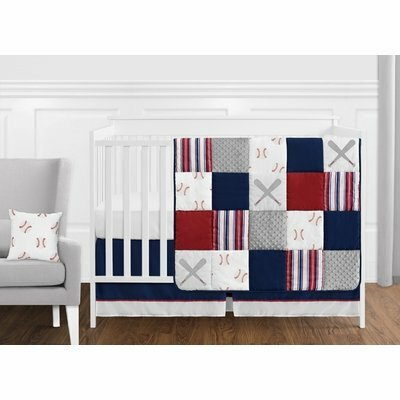 This baby boy bedding set features fabric patches combining applique and embroidery works of baseball bats, a fun baseball print and a coordinating stripe paired with grey minky dot, red, white and navy blue solid fabrics. This collection uses the stylish colors of red, white, and blue. The design uses 100% cotton, brushed microfiber and minky dot fabrics that are machine washable for easy care. This wonderful set will fit all cribs and toddler beds.